Duration: Once the examination starts it will last for 2 Hours. 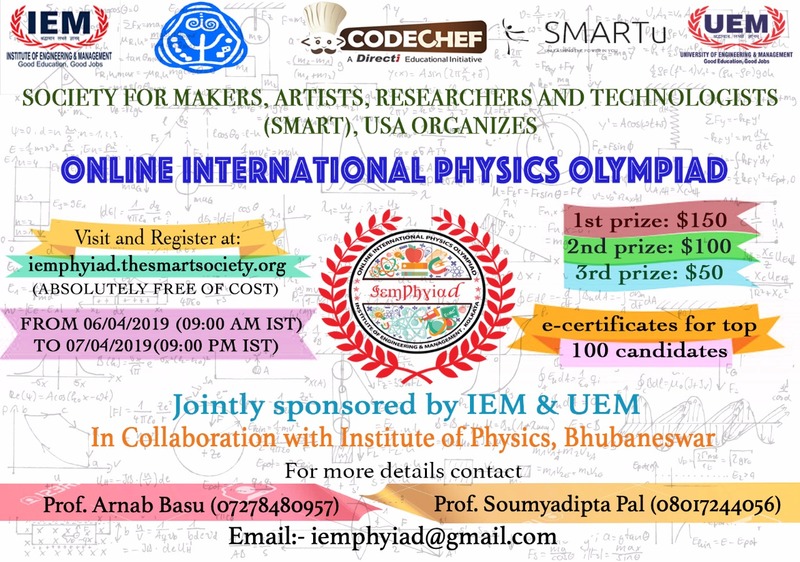 The contest is open to participants across the globe with upper age limit is restricted to 23 (as on 06.04.2019) for getting prize money. However, all the participants are expected to abide to CodeChef Code Of Conduct. Total time of examination for each participation is 2 hours. Level of questions will be of Grade 11-12 / Undergraduate. All cash prize winners (Rank 1-3) need to give valid date of birth proof. Award winners will have to send one valid ID card consisting his/her photograph and date of birth.